Carshalton Blue had the most liked content! It's def not mate, we didnt play Sheff Utd when Gordon Davis or Roy Wegerle played for us, in fact those two never played for us at the same time either. We never played at Bramill Lane from 1976 up to 1991, thats why i'm sure it's Spackman playing for Bournemouth there. I'm sure that isnt Chelsea, we didnt wear blue socks until 85/86 & didnt play Sheff Utd back then, if that's Nigel Spackman in the photo maybe it's Bournemouth? 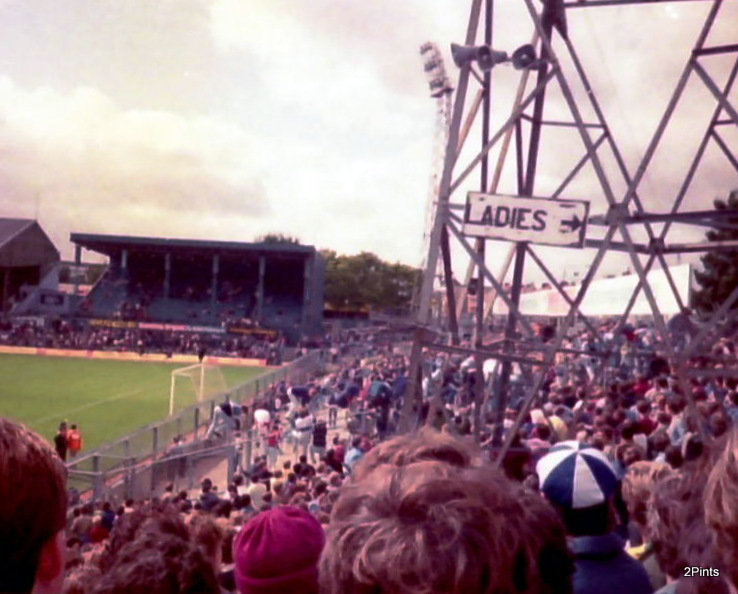 Only a few clubs had the whole north terrace regularly after Chelsea fans wernt allowed to use it, Utd, Arsenal, West Ham, even Liverpool only filled the whole end once or twice. Ive got a few more from that game nothing special all taken before the game, i'd put them on here but then they'd end up on Twitter, i dont mind that but i'm sure the fella used to follow me on there but doesnt anymore for some reason, i've replied to him a few times on there & never get a reply. In fact he put that photo on Twitter i replied it was my photo & told him exactly what game it was from & got no reply. My photo taken v Everton 89/90 last home game of the season. We've lost another true blue..